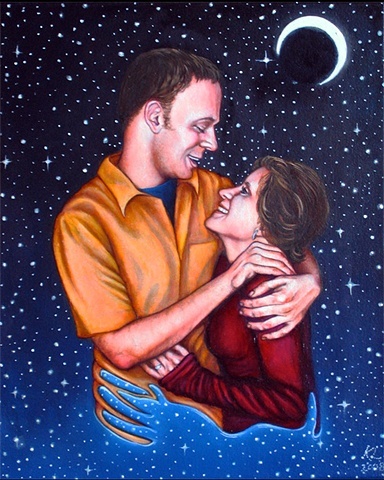 This was a commission from Zsuzsanna to Jim for their wedding in 2008. I loved the sentiment and i wanted to make something really special and lasting, bordering on a traditional portrait as well as bringing my own style to it. They loved it. I take commissions for this kind of thing farily regularly. If you are interested, please don't hesitate to contact me.